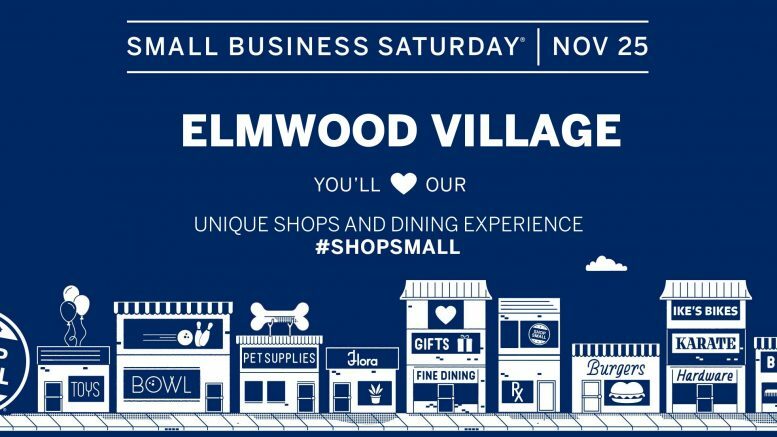 On Saturday, November 25, 2017 from 10:00 am – 8:00 pm, small businesses on Elmwood Avenue will participate in ‘Small Business Saturday on Elmwood Avenue’. Shop small with us! If you are interested in learning more about Small Business Saturday visit the American Express website. Councilman Joel Feroleto is sponsoring a shuttle coinciding with Small Business Saturday, November 25. Parking fees will be waived at the Gallagher Ramp, where a shuttle can pick you up. The shuttle runs every 15 minutes and will go from 11 am to 7 pm. The stops include: Lexington Avenue, Breckenridge Street, Lancaster Avenue, Bidwell Parkway, Forest Avenue, Allen Street, and Bryant Street.